Whether you need new keys for your business staff, a replacement for broken or lost key, or just need a simple upgrade of your obsolete keys, then you require a commercial key cutting service. Key cutting is a process of creating an exact copy of your key or a completely new one for your business. It should be noted, that almost all professional locksmiths recommend having at least one set of spare keys in case you lose your existing one. We provide mobile key cutting services on-site for all types of commercial locks. Our experienced security experts can make as many copies as needed. Call us anytime and our qualified technicians will come to you very soon. 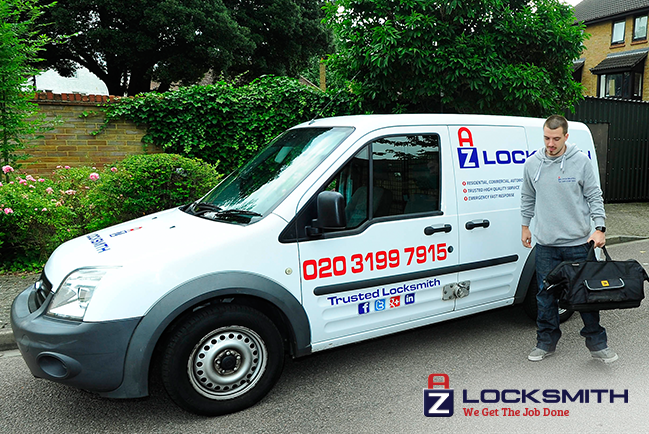 Our mobile locksmiths are reachable 24/7 in London and in Greater London. We have fully equipped vehicles, which include state-of-the-art key cutting equipment and a wide range of commercial key blanks. Our licensed commercial locksmiths are experts with years of experience. They can cut keys in a matter of minutes at an affordable price. In addition, all our staff stays up-to-date with the latest and modern equipment to provide a high-quality service.